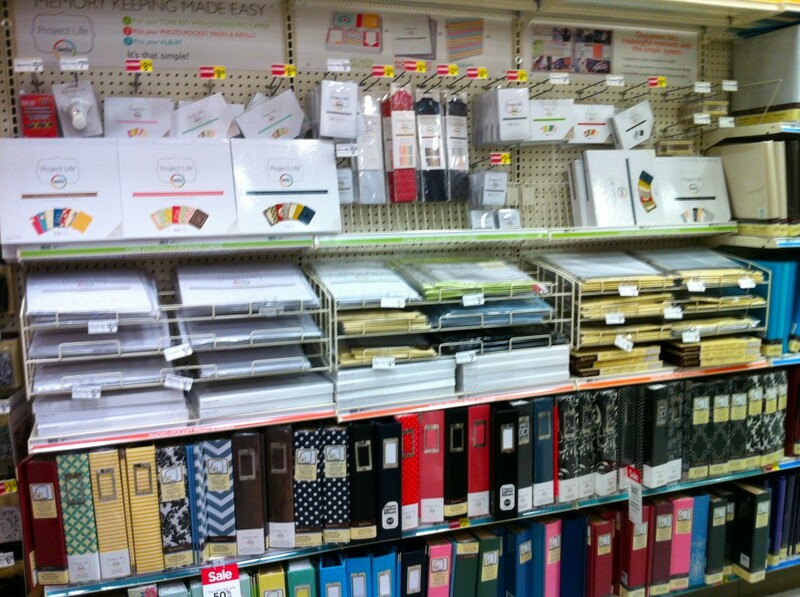 Do the Scrapbookers Who Have a GOOD Michaels Realize How Stinkin’ LUCKY They Are??? Because I went to a GOOD Michaels a few weeks ago while traveling and it was a-MAYZE-ing! 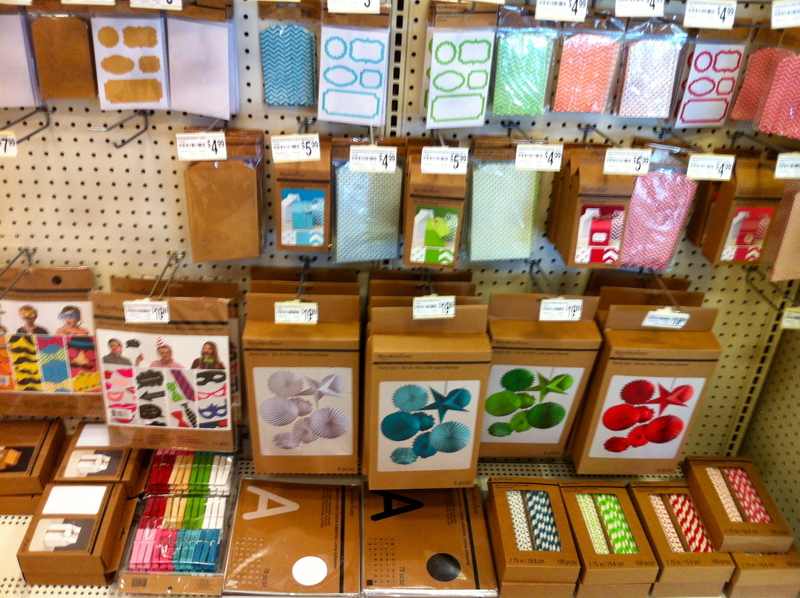 They had all the stuff I hear other scrappers talking about online and wish-wish-WISHING! that mine did. This cute project greeted me at the front table. 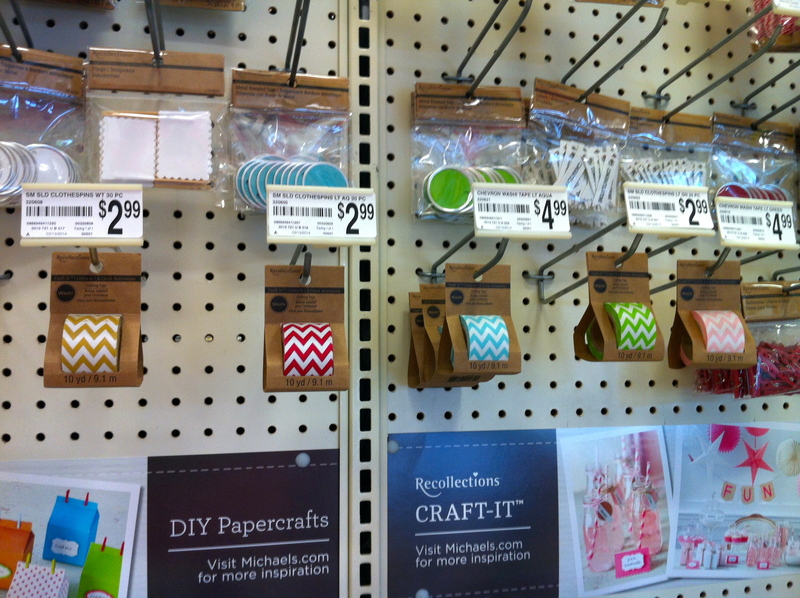 My store doesn’t even have this whole section called “Craft It” by Recollections. 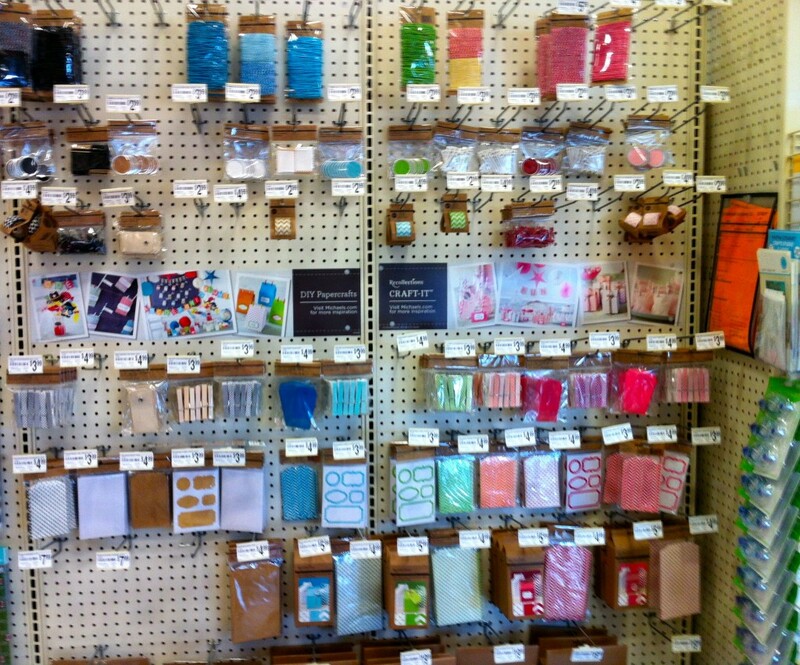 Some really cute stuff to DIY party favors, cards, scrapbooking, etc. 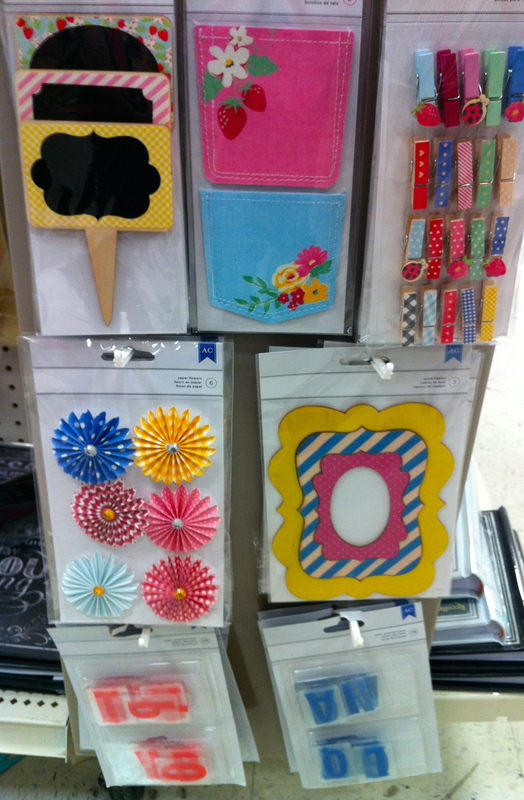 Look at those cute colored clothespins and straws! I snagged two of these washi tapes! 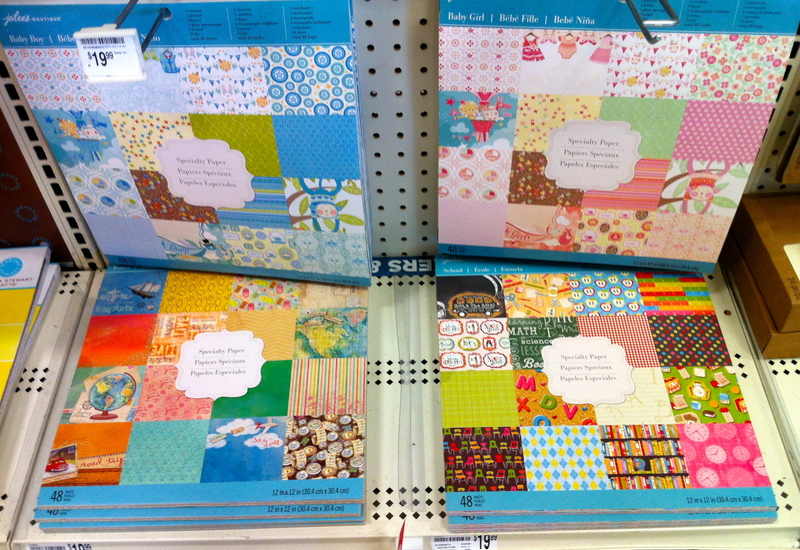 Four new paper pads by Jolee’s – I’ve never seen paper by them, only embellishments. GO Jolee’s! 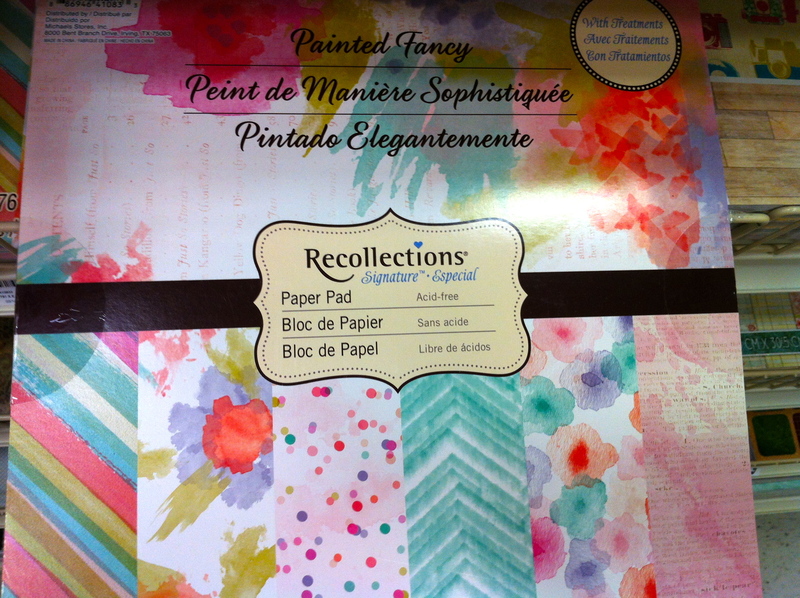 I was tempted by this watercolor paper pad by Recollections but I still have tons of “COLOR WASH” by Heidi Swapp that needs to be used. The “Sweet Tangerine” paper pad by DCWV was hard to pass up. I love all the orange. 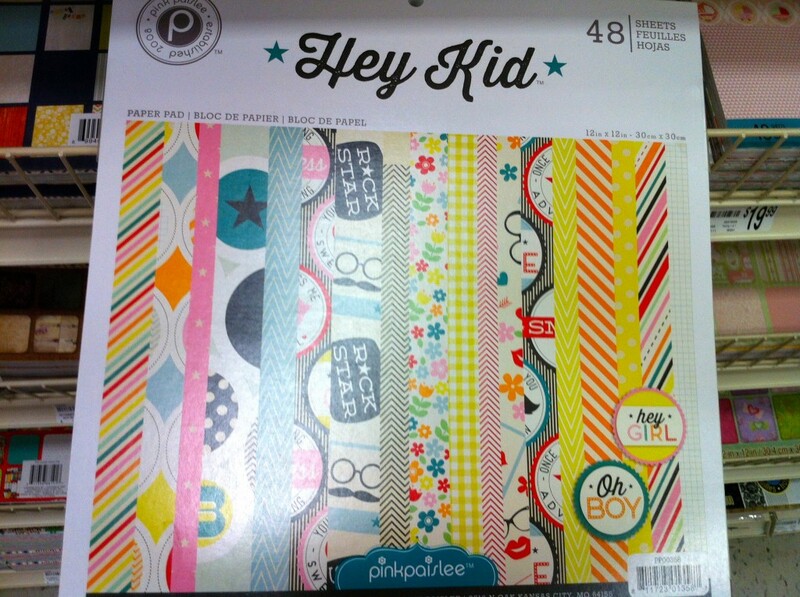 I swear, “Hey Kid” by Pink Paislee has been on my wish list since I first saw it. But twice now I’ve seen it in person and failed to pull the trigger. I think I need to get just a few sheets and some embellishments, not the whole line. 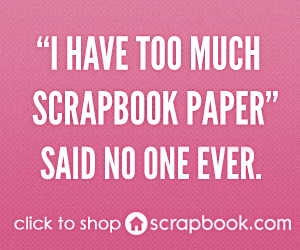 I just don’t love ALL of the papers. 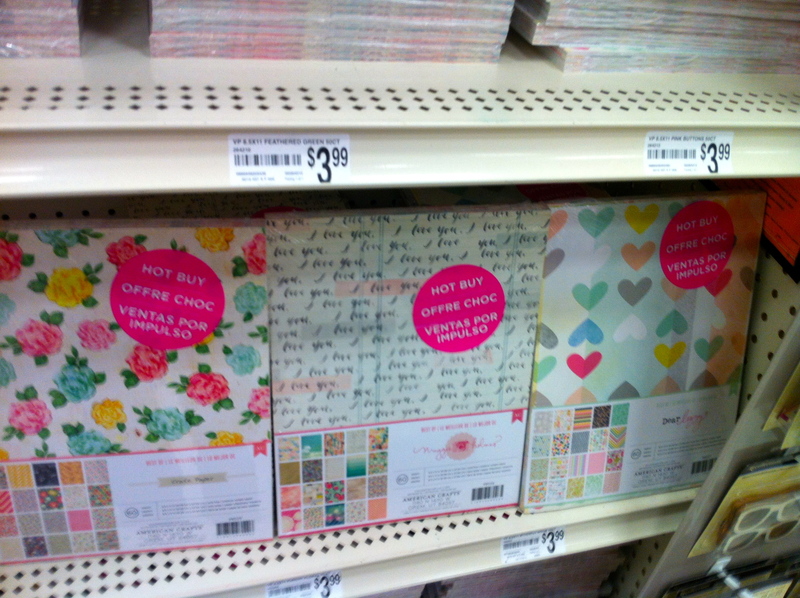 And, oh yeah, all paper pads were 50% off so I expect you to really admire my strength in not buying any, LOL! 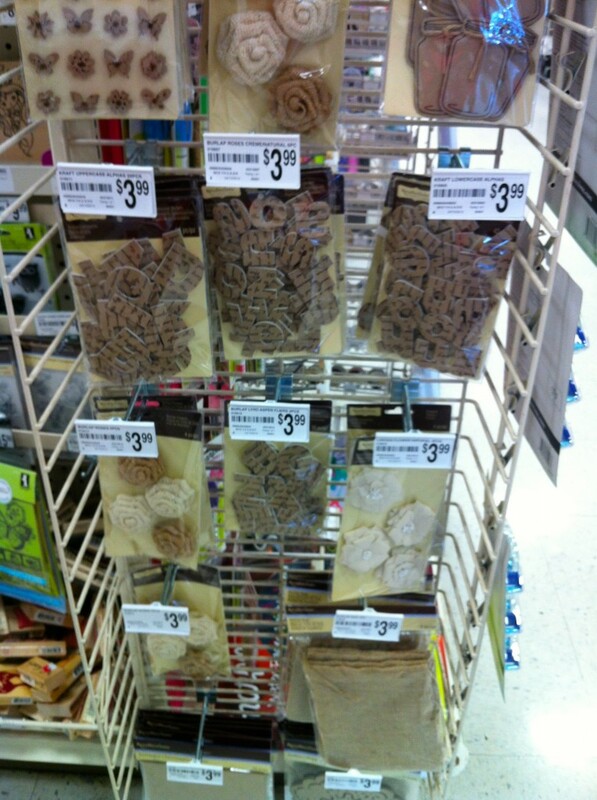 My Mike’s doesn’t have any of these cute burlap embellishments! 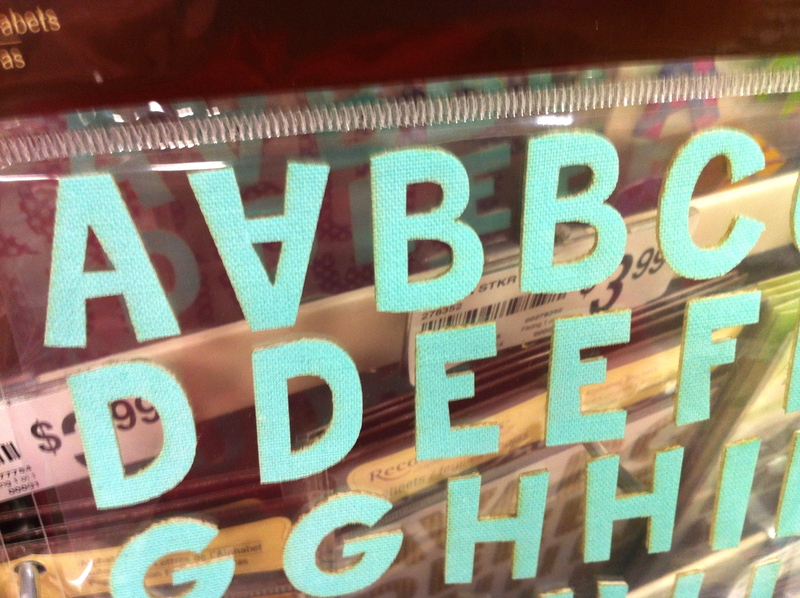 I had those mason jars and the letters in my hands . 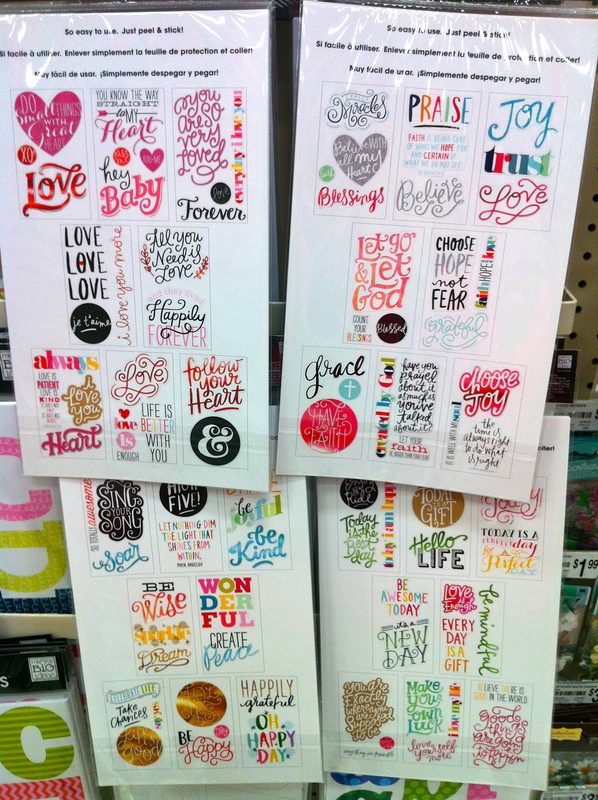 . . but they didn’t make the final cut :( I’m hoping my Mike’s will get them eventually and I can use coupons to get them later. THIS Mike’s has almost a full aisle of paper pads! Does yours? 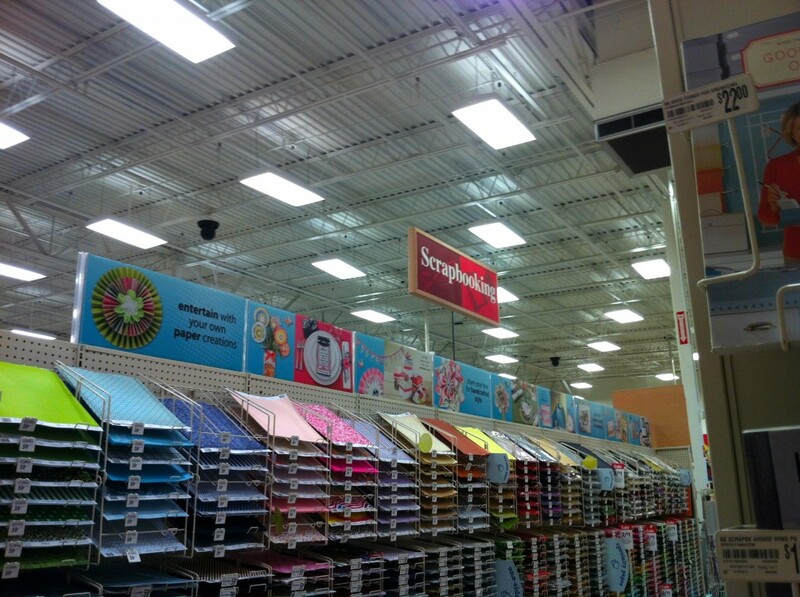 Mine has about 1/3 of an aisle. 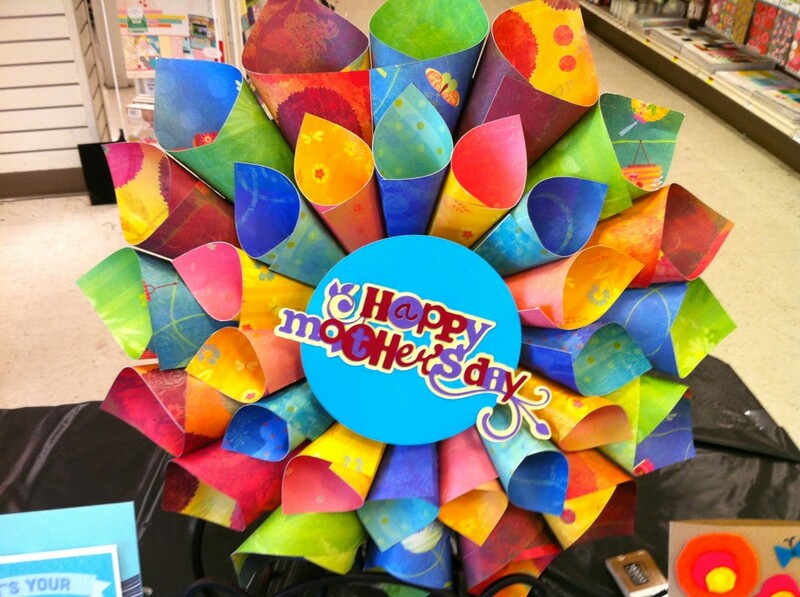 Look how high their paper racks go! Mine stop at about eyeball-level with about 1/3 as many racks. Hmph! 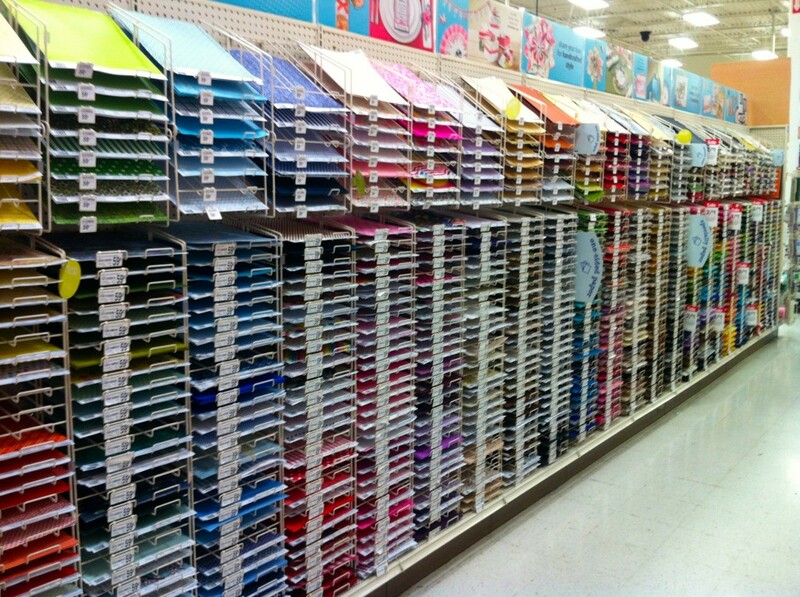 This looks about the same as the Project Life section at my Mike’s. 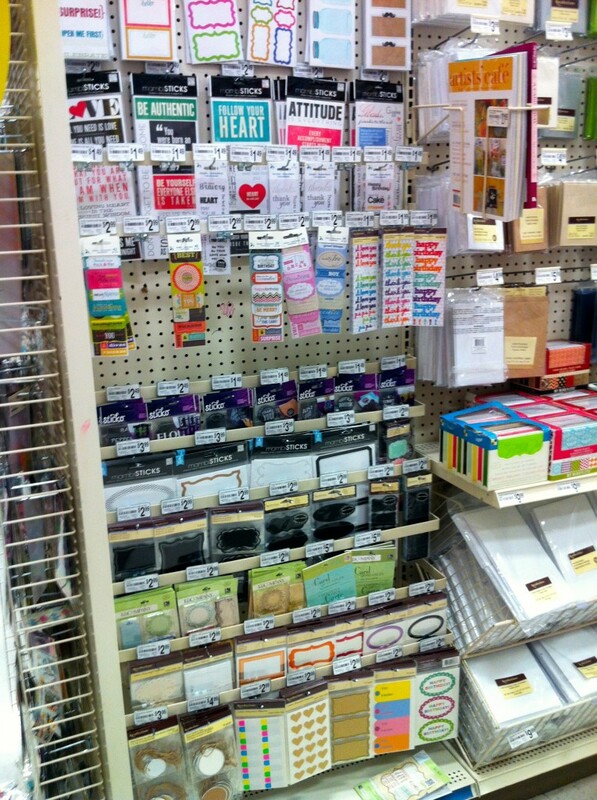 My store has a section like this of random MAMBI, card sentiments, older K&Co, etc. 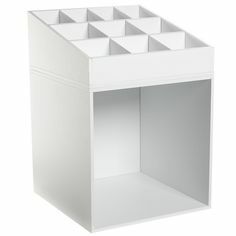 but it’s not as filled in, has maybe about 1/2 as much product. 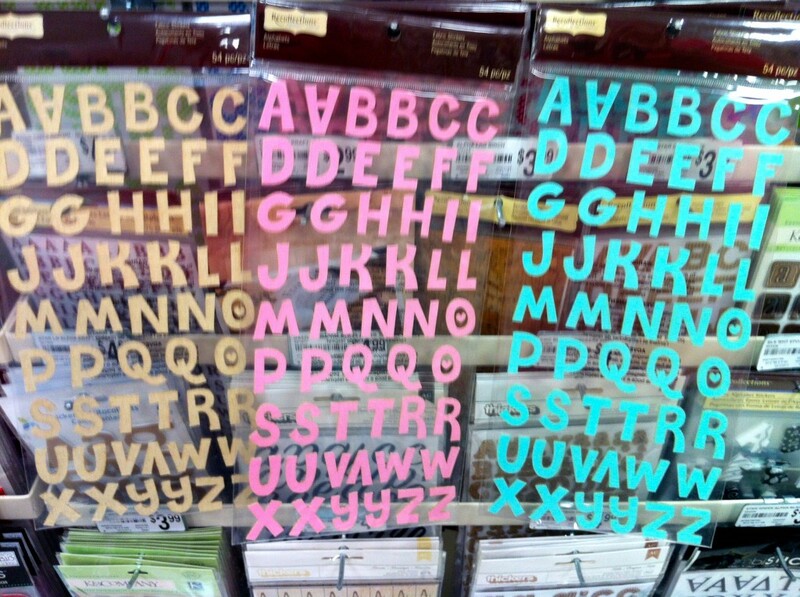 Found these cute new letter stickers in 3 colors. Here’s a close-up so you can see . . . they’re made of a textured fabric and are slightly distressed on the edges. And here is where I thought I’d died and gone to Heaven! MAMBI MAMBI MAMBI!! 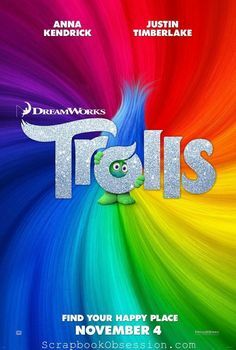 Man, their stuff is so bright, cheery, and uplifting. They can turn anyone’s frown upside-down, ha! 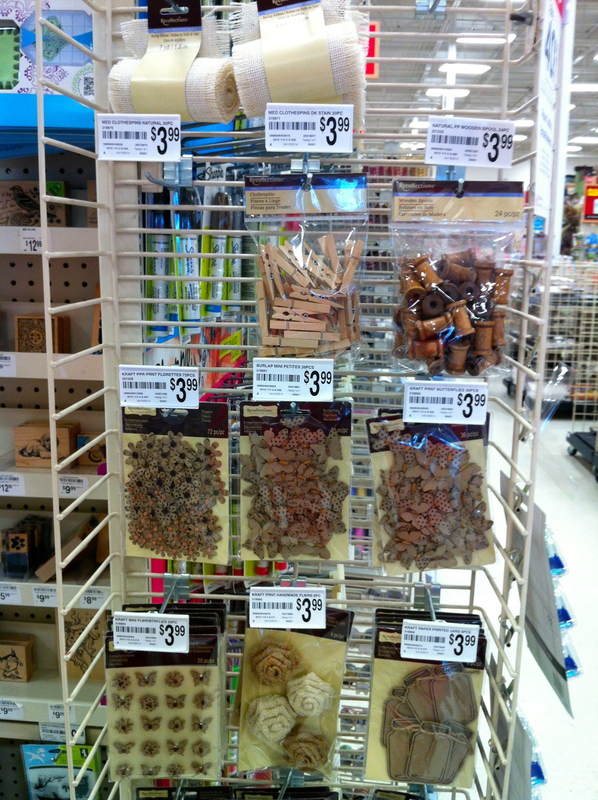 I knew I had to get some of these MAMBI Sticks but at $8 a package, I had to make a choice . . . or maybe two ;) So I looked at the backs to see what was in each package. 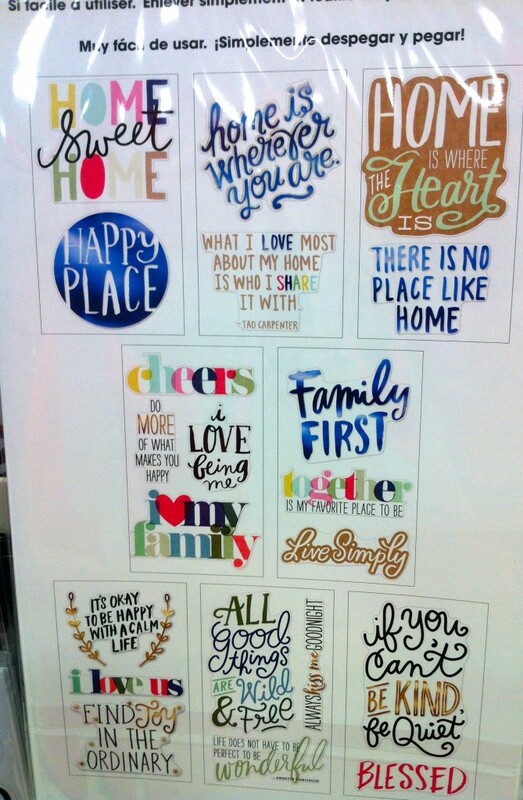 I just love the sayings they use, the pretty fonts, and the great colors. 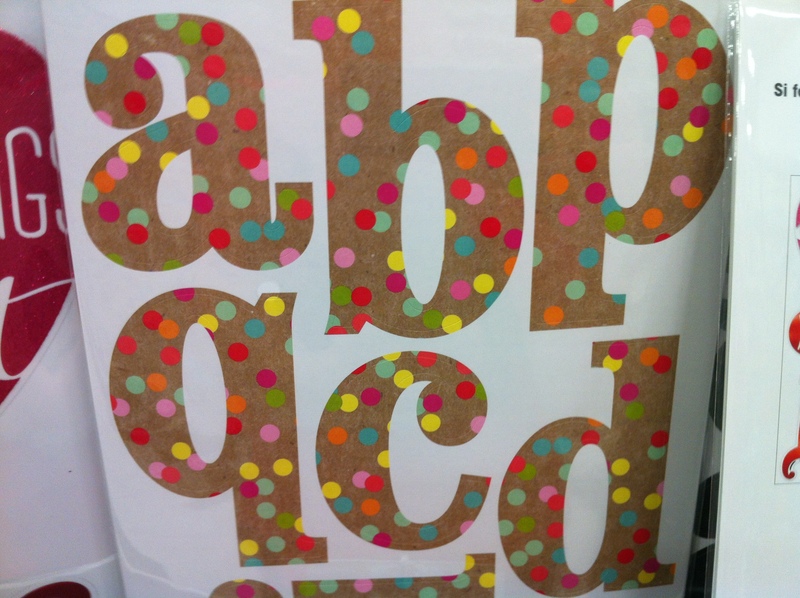 Love these letters – kraft with polka dots! Uh-oh, found another set of MAMBI Sticks I like. This is getting ever harder to choose! 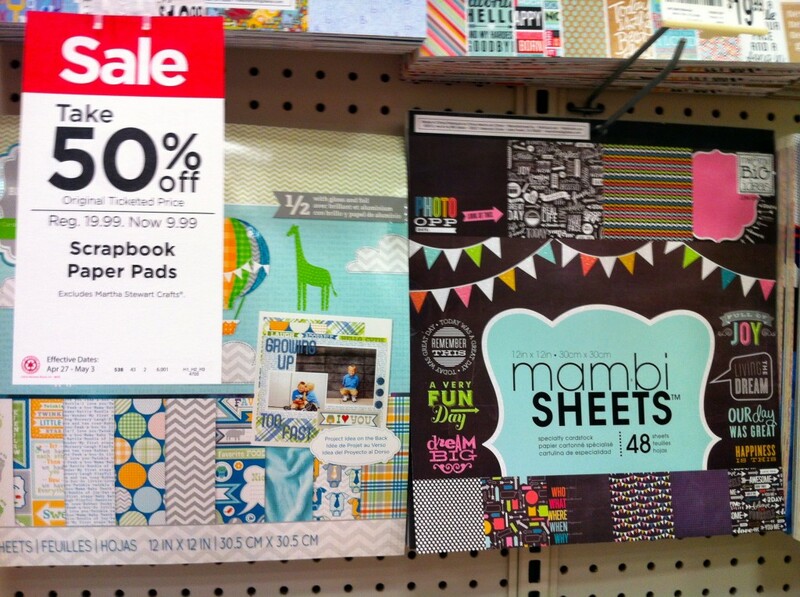 They had all the MAMBI Pocket Pages stuff which I’ve bought out . . . ahem, has mostly been phased out at my Michaels. 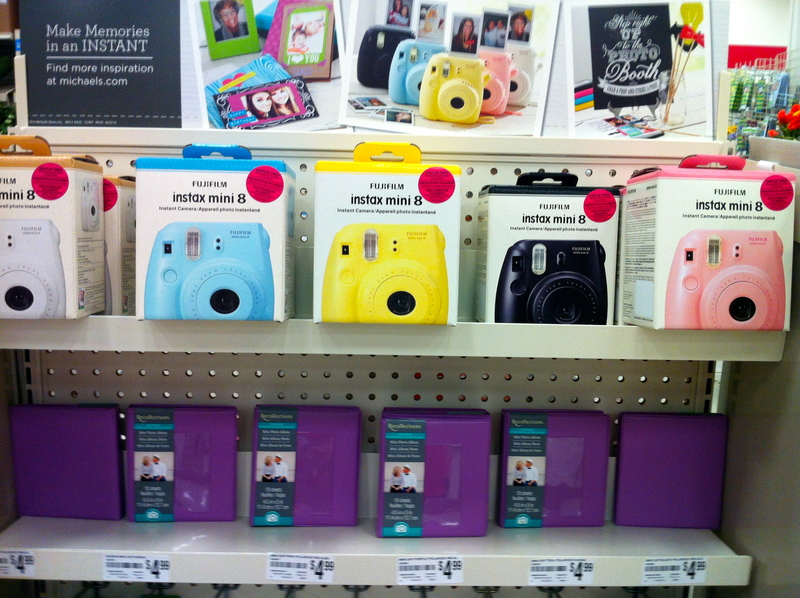 My store now has the Instax Mini 8 camera , mini albums, and supplies – a better selection actually – but this Mike’s had them 2-3 weeks earlier. NOTE: These cameras are only about $60-70 on Amazon with free shipping (depending on the color you choose) at my link above. At Michaels, they retail (if I remember right) for $119. Even with a coupon, Amazon is cheaper. And some Michaels stores are not accepting coupons for them. Just a shopping tip! Here are the 8.5 x 11 “Hot Buy” paper pads I heard about online but couldn’t find at my Mike’s. 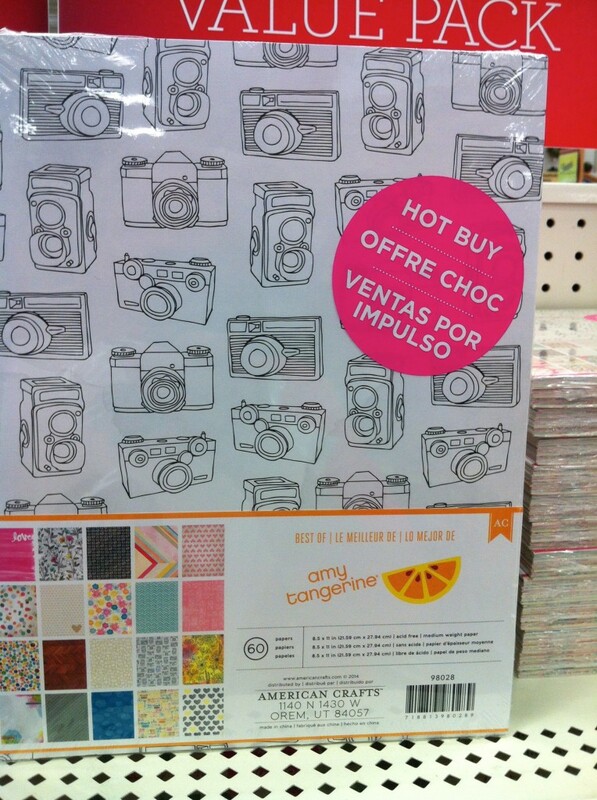 This Amy Tangerine one with all the cameras was super tempting! 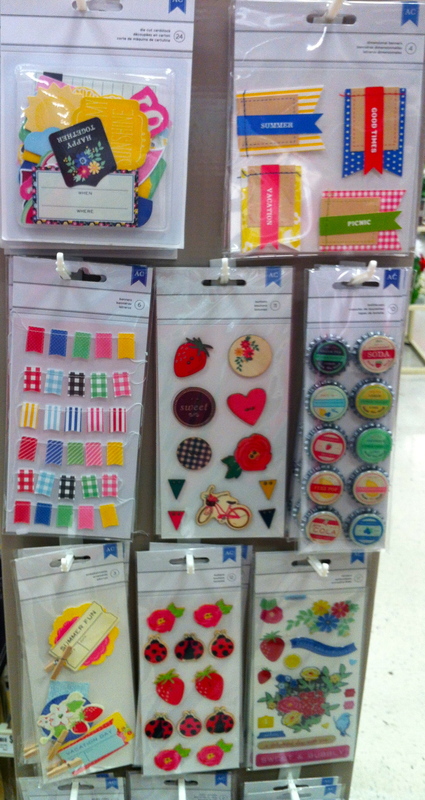 And, finally, some new embellishments from AMERICAN CRAFTS, aka the Monopoly winners at the game of Scrapbooking (did you get that? huh?). Something in this photo came home with me. line a while back and I know I paid a lot more than $3.99 for them! I wonder if the quality and amount are similar? If you want to see what I bought, stay tuned . 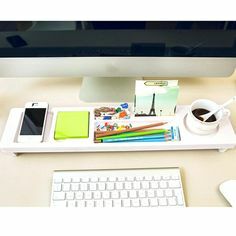 . . you’ll see in my next post! I hope those of you with a GOOD Mike’s nearby realize how lucky you are. 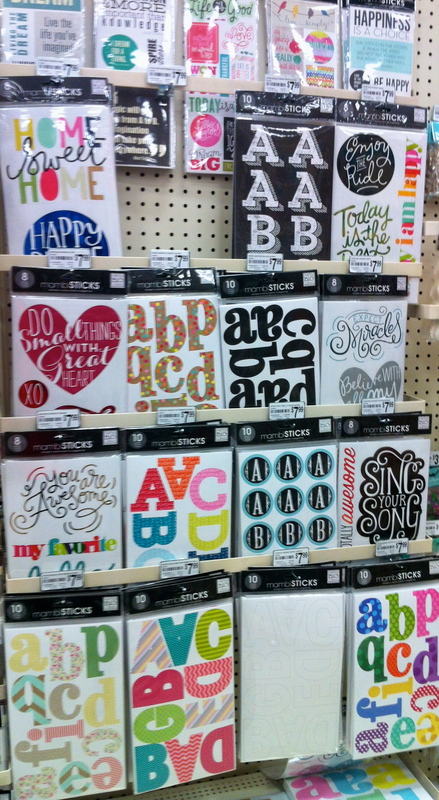 You’re probably the same ones with a Hobby Lobby and a great Joann nearby too, aren’t ya’?? Jeez, I’m really jealous of you. 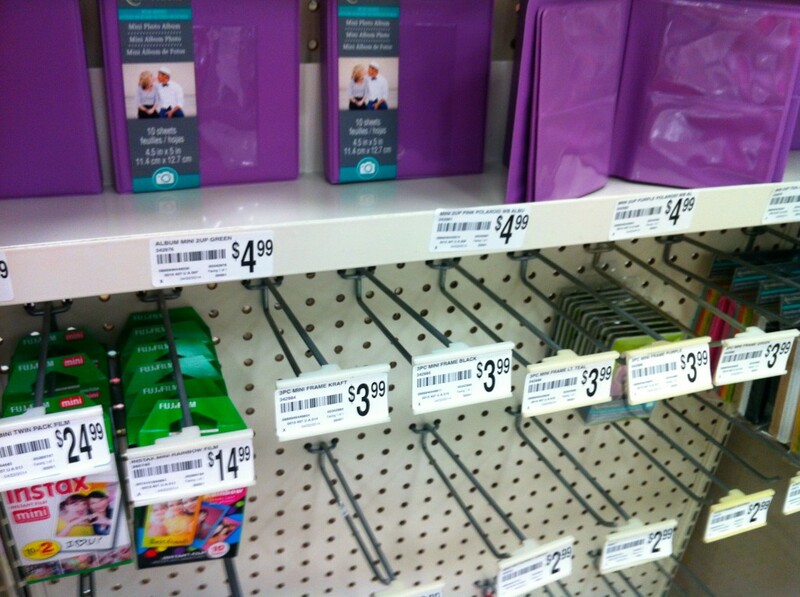 I don’t even have those stores, no LSS, just a (BAD) Michaels. Waaahh! So, which camp do you fall in? 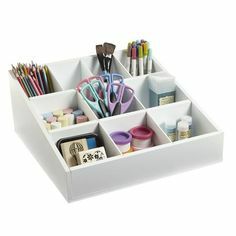 Do you have a GOOD Mike’s like this one that gets all the good, new stuff early on and has hoards of scrapbooking supplies? Or are you like me with a BAD Mike’s that gets new products much later, if at all, and in smaller quantities? I have to say I thought our Michael’s was just fine…but wow, this one is super!!! I may have a sucky one and didn’t even know it, lol. Looks like you had fun window shopping and possibly buying a few items as well! I am very lucky to live just north of Columbus, Ohio. There are 7 Michael’s stores within 30 miles of my home. 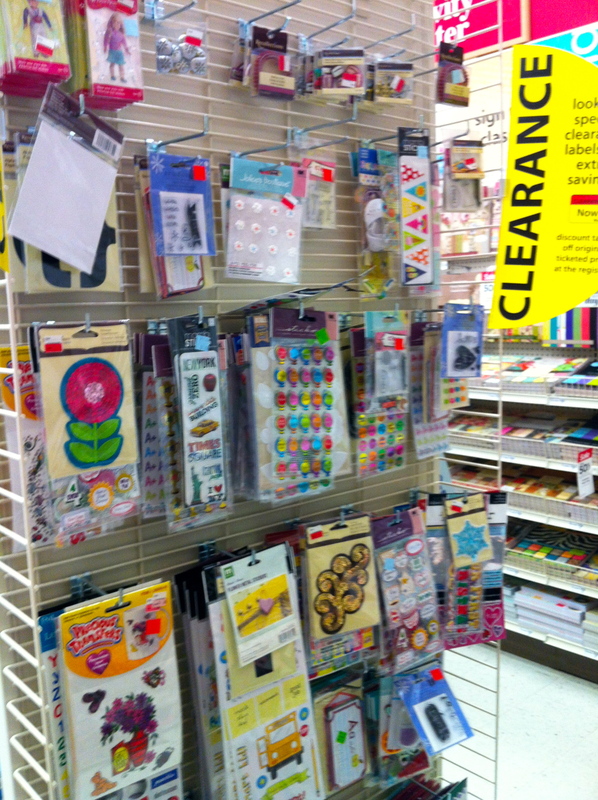 I don’t think any have as big a papercrafting area as the one you pictured, but I love shopping the clearance aisles of several of the stores closest to my home! Jealous! 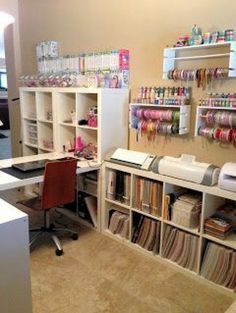 I have 3 Michael’s near me (San Diego) and they are all small, shabby, disorganized and have very little paper crafting stuff. The Joanne’s might be worse: it’s gone from 3 aisles to like 1.5 since last year. 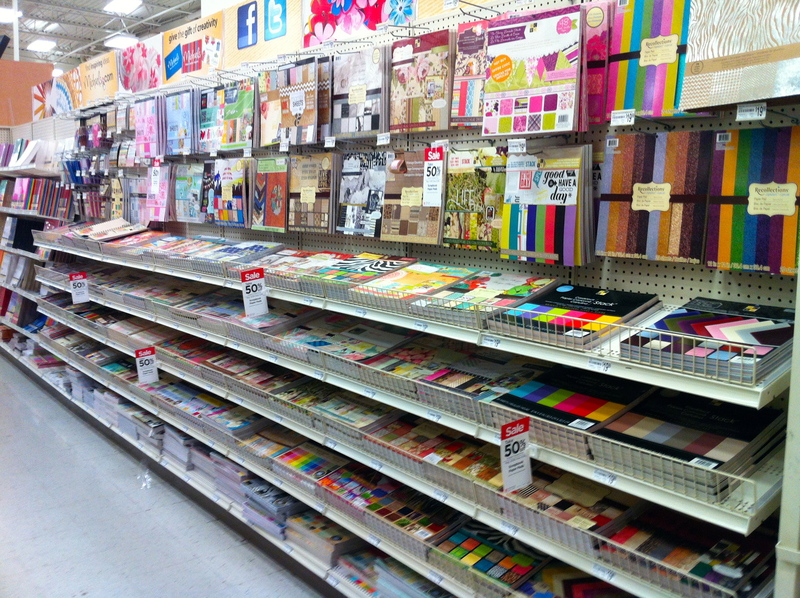 Please remember that any Michaels is better than none at all (like most of the rest of the world) or those in Canada that charge at least 30% more than in the US! Drooling over here! 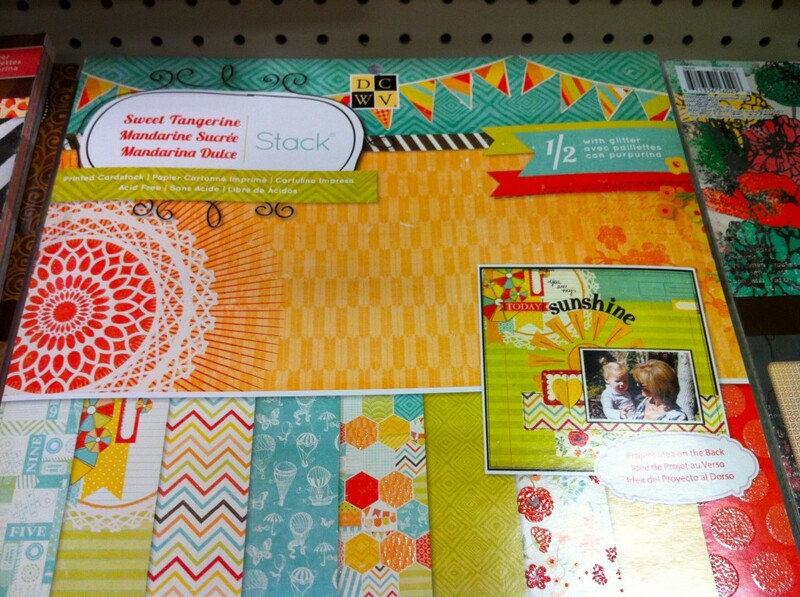 Love the Maggie H papers! May have to go check those out soon! Man, was that a wall of paper or what? It’s weird to see the PL stuff on clearance isn’t it? Will you email me and tell me what size the kraft polka dot letters were? Are they typical title size or big?